No I am not the Buddha (or even a Buddha, as far as I know). I am a flight instructor though. I will always be a flight instructor; even if I cannot get in an airplane, I will be a flight instructor. Instruction is my reason. For what, you ask? Well, for everything really. I find a deep sense of meaning in exchanging information with other people in such a way that it benefits them, helps them progress or grow, and/or otherwise improves them beyond where they were prior to our interaction. I think instruction in general and flight instruction, for certain, is a noble pursuit. I believe that men and women of all backgrounds, ages, and personalities can find their place in this endeavor. However, to be truly good at it, I also believe folks must make it their reason. By late-2017, the self-help aisle of the internet was inundated with the concept of ikigai. It’s a Japanese word that means, “a reason for being.” The concept is still floating around out there, even though it quickly became just another cliché Venn diagram shortly after becoming mainstream. 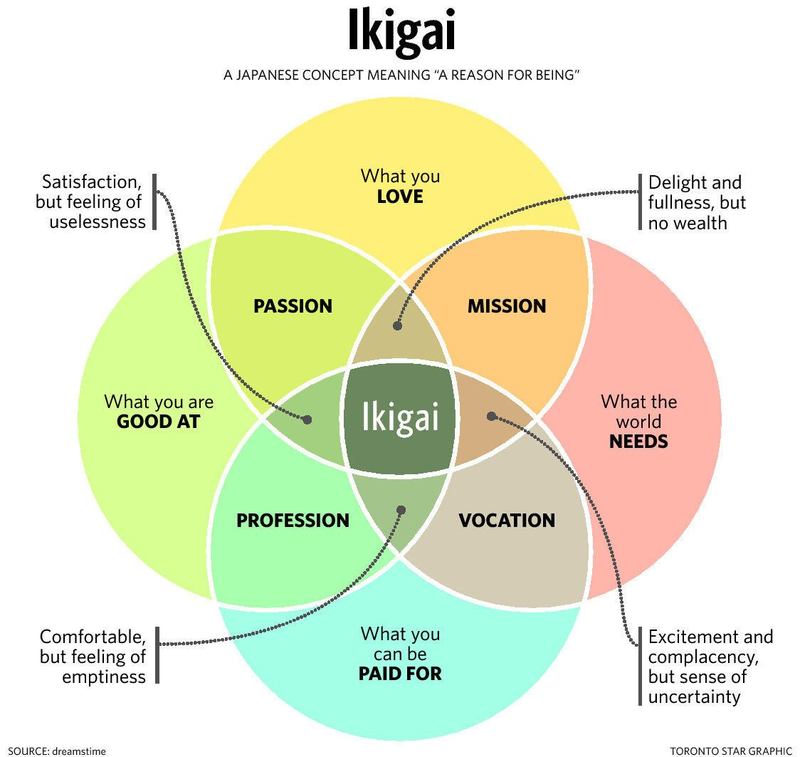 I really do believe that ikigai deserves some consideration in this modern age where becoming a CFI is viewed by many as a temporary stop before embarking on a “real career” in aviation. I heard someone say the other day that “CFI” actually stands for “Caught: Forced to Instruct.” Bear with me for a few minutes while we deconstruct the idea of ikigai and relate it to flight instruction, and maybe even the pursuit of aviation in general. At the center of what you LOVE, what you are GOOD AT, what the world NEEDS, and what you can be PAID FOR, comes the magic of ikigai: your reason for being, your reason for getting out of bed in the morning, and your reason for being the best version of you that you can be. Some people get pretty close to the center, but most land just outside. Not to worry though, people can still be productive members of society and, yes, flight instructors, without achieving bliss, nirvana, or the seventh supernatural plane of whatever. The problem is that it just won’t be enough. Something will be missing. My deep abiding love of teaching and instruction was NOT my first plan. I was supposed to be an airline pilot. That was the plan. Throughout flight training, I was consistently GOOD at flying the airplane; I certainly enjoyed the idea of getting PAID, and I was keenly aware that even with slumps and trials, the world was always going to NEED pilots—at least in my lifetime. I was going to be entering a great PROFESSION, but something was missing. I still remember the day I taught my first ground school class. I actually was subbing last minute for someone else. I figured that I could do it. I walked in front of 20ish folks, opened my mouth, and realized I had found a PASSION that I never even considered, and I was not even totally aware of where it came from; it just hit me. The plan for the remainder of my journey shifted, and I immediately began planning to find a way to make instruction my career and my life’s work. Look, I am not suggesting that everyone who is looking for a professional aviation career must become an instructor. In fact, NOT everyone should become an instructor. The responsibility and accountability are too high for someone who is simply looking for a pitstop as they climb the career ladder. However, I firmly believe folks should start listening to their “inner them” when they realize they are approaching the center of their own awesomeness—their ikigai. 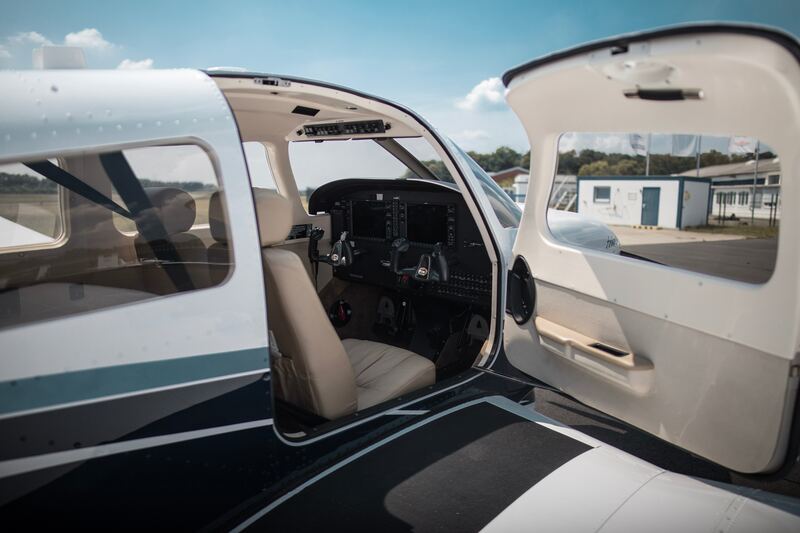 Just because you LOVE something, there is no guarantee that you can get PAID for it, and just because the world NEEDS flight instructors in bulk right now, there is no guarantee that you will be any GOOD at it. However, if those stars align for you, I suggest you listen to them. If they just do not seem to align for you, I suggest you find something else to do. Mark Twain said, “if you find a job you enjoy doing, you’ll never work a day in your life.” There is some serious truth in that statement. Personally, I would have loved to have taken flight lessons from Mark Twain. The cigar smoke and constant insults would have made learning really hard, but the never-ending one-liners and Tom Sawyer references would have made the process really entertaining at the same time. But I digress. If you are an instructor, if you want to be an instructor, or if you train or manage instructors, I hope that you will consider the idea of ikigai and really find your reason for what you are doing. Lots of folks are counting on you to really be there and maybe even want to be there. Even if you are only instructing during a transition period in your career, I hope you will consider how to find your ikigai in that time. If you do, your work product will improve, your overall satisfaction will improve, and you might just realize that, as Twain said, you are not even working anymore. Instruction does not have to be, and it should not only be, just a job. In any circumstance, it could be your reason. Eric Crump is Program Director of Aerospace at Polk State College and Business Principal at Red Eye Aviation.